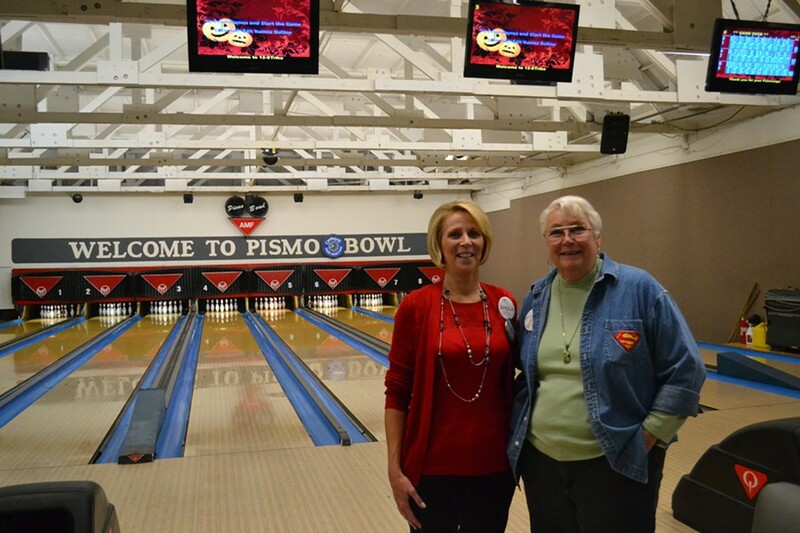 TWO FOR PRICE CANYON: Pismo Beach City Council candidates Marcia Guthrie (left) and Sheila Blake (right) gathered on the night of Nov. 4 to bowl a few frames and track the election returns. Results of the Nov. 4 election painted extremely different pictures in Pismo Beach, with two city ballot measures passing handily, but City Council and mayoral races too close to call. As of press time on Nov. 5, Pismo’s Measure H—authored by activist group Save Price Canyon and intended to preempt mega-development in the Price Canyon area—was passing by a 65.7 percent to 34.3 percent margin. Measure I—a renewal of the city’s half-percent sales tax—passed by an even-larger 71.2 percent to 28.8 percent tally. Turnout in Pismo Beach was resting at 49.6 percent of registered voters on Nov. 5, though that number is likely to rise as roughly 850 additional mail-in and provisional ballots from Pismo are counted in coming days. Those additional votes will be crucial for the unbelievably close races for two City Council seats, as well as the city’s mayoral seat. As of press time on Nov. 5, the council tallies showed Sheila Blake in first place at 26.68 percent (1,177 votes), Marcia Guthrie and incumbent Mary Ann Reiss precisely deadlocked at 24.57 percent (1,084 votes each), and incumbent Kris Vardas trailing but still close at 23.87 percent (1,053 votes). For the mayoral seat, incumbent Shelly Higginbotham narrowly led with 50.16 percent (1,252 votes), and challenger Kevin Kreowski was nipping at her heels with 49.56 percent (1,237 votes). During their election night soirée at Pismo Bowl, Guthrie and Blake—both founding members of Save Price Canyon—took turns bowling frames and eagerly checking laptops, cell phones, and tablets for the latest election results as classic rock blared over the speakers and supporters danced. Both candidates told New Times they were elated by the strong mandate demonstrated by the passage of Measure H, which they said was indicative of widespread discontent with the status quo in Pismo that has previously favored developers. 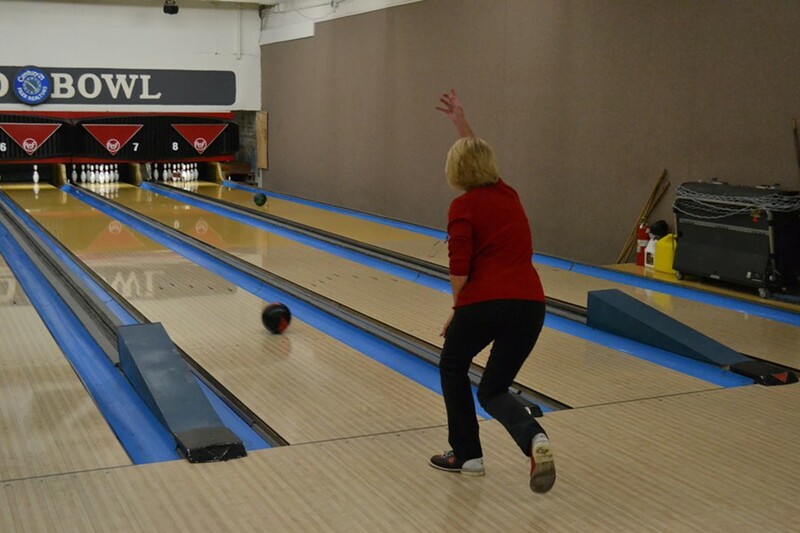 STRIKE: Pismo Beach City Council candidate Marcia Guthrie, seen here bowling during her election night event, is locked in a dead heat with incumbent Mary Ann Reiss for a council seat as of Nov. 5. Both candidates are awaiting the tabulation of about 850 uncounted ballots in Pismo. “That’s our baby,” Blake said, with a grin. Guthrie was incredulous that she was tied despite the more than 2,500 ballots cast in Pismo Beach thus far.